Fundraiser for Vladimir Schmidt by Echo Greenlee : Deaf triathlete is IRONMAN bound! 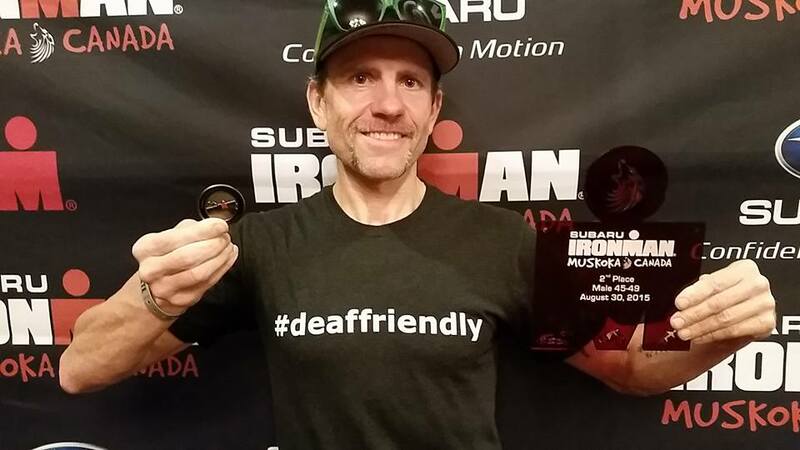 Deaf triathlete is IRONMAN bound! Watching Deaf triathlete, Vlad Schmidt hustle his way to a 10:06:50 finish at IRONMAN Mont-Tremblant in August 2014, was both inspiring and humbling. Not only did Vlad beat his previous year’s personal record in Coeur d’Alene by well over an hour, he also delivered impressive 1st and 2nd place finishes within his 45-49 age group in local triathlons last year. After only two years of dedicating his life to this sport, Vlad consistently scores in the top 10% of his age group in every race. He is the fastest American Deaf IRONMAN, if not the world, making him a living embodiment of the IRONMAN mantra “Anything Is Possible”. Vlad, Russian born and now living in Seattle, speaks English, German, Russian, as well as American Sign Language, German Sign Language, and Russian Sign Language. He devotes 15-20 hours to training every week. 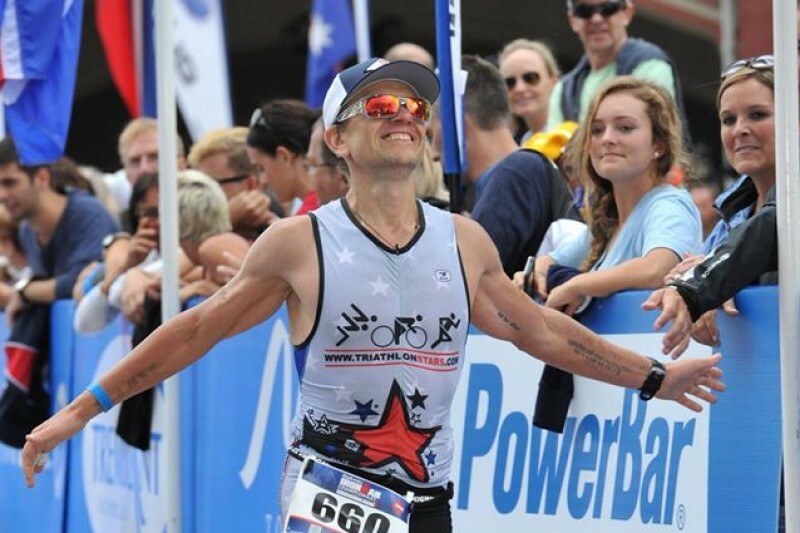 He lives and breathes competitive triathlons and he’s not settling until he’s at the top of his age group at IRONMAN Kona, 2015. To support the expenses associated with training and competing in IRONMAN 2015 deaffriendly.com is managing Vlad’s sponsorship efforts. Will you join #teamVlad in the form of a cash donation? “Deaf people can do everything but hear”. In the land of beautiful sunsets and stunning sunrises, a group of dedicated athletes underwent one of the most grueling races in human history, Ironman World Championships. Deaf Ironman Vladimir Schmidt proudly took his place among them. The week prior brought both warm temperatures and rain and gave Vlad an opportunity to eat tropical fruits, do some interval training, and spend some quality time with friends leading up to the race. He expressed gratitude for his continued good health, a year of no injuries and what he credits as smart training under the guidance and wisdom of his coach. He looked around the night before, thankful for his friends who flew out and for the ongoing support and well wishes of his fans. It had been a long year, and he knew the value of those who have been there for him though he couldn’t be around as much physically they never made him feel like his absence meant he was forgotten or no longer a part of the community. His friends, including you, remained steadfast, by supporting him and the pursuit of his passion and dreams. As he crossed the finish line, he immediately looked up and behind him to see his time 10:35:21 placing him 111th in his division and 817 overall. With the “hardest race under his belt” he finished and is thankful to all of his fans! Vlad, the IRONMAN, on the road to KONA! Hello friends, supporters, and donors! 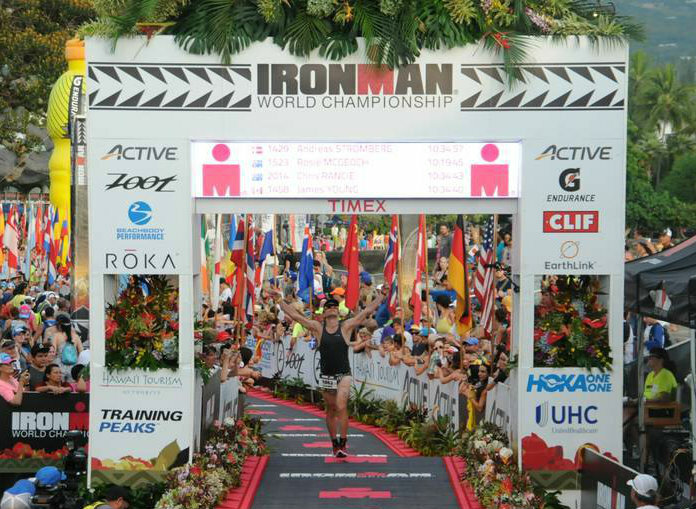 Less than seven weeks away until Vlad Schmidt competes in IRONMAN World Championship in Kona! Since receiving his slot in the race last year, he has been training hard locally and the build up for Kona is here! We will keep our supporters, donors and friends updated on his journey through short updates. If you are in the Seattle area, please consider coming to celebrate with us on September 17th from 4 - 7pm at “Kickoff to Kona” where there will be light appetizers, a photo booth, raffles and a last opportunity to wish Vlad good luck! Event details provided in the link. We hope to see you there! Over the weekend, this happened!!! Vlad competed his very best race in Muskoka, Canada and made 2nd place in his age division (45 - 49). Here he is receiving his award and is invited to compete in IRONMAN World Championship, Kona 2016! Congrats to Vlad!!! If you donated to his campaign, THANK YOU!!! He could not have made it this far without the support of his generous and loving friends and supporters. Donate this amount and get a shout out on social media. Donate this amount and get a personal "Thank You" message from Vlad. Donate this amount and get a personal "Thank You" message from Vlad, two #deaffriendly stickers & two #deaffriendly temporary tattoo's. Our Bronze sponsorship gives you/your co. one social media post & exposure to our deaffriendly fan base of over 10K deaf, deafblind & hard of hearing people. Our Silver sponsorship gives you/your co. the social media exposure explained above & placement for you/your co.'s sticker on Vlad's racing gear. Our Gold sponsorship gives you/your co. the rewards listed above (social media, sticker placement), one #deaffriendly tee & 1:1 time with Vlad over a beer! This is amazing, Vlad! Best of luck to you!! !